Welcome one and all to SmackDown Live! On tonight’s show, Shane McMahon will respond to the outburst from AJ Styles at the end of last week’s show. Styles lost the main event to Randy Orton, thus losing out on the opportunity to “main event” WrestleMania. Styles then took his frustrations out on SmackDown Commissioner Shane McMahon. Things got heated between the two, which will seemingly lead to a showdown at WrestleMania, but it will be interesting to see what Shane says tonight. It’s now official that Randy Orton will face Bray Wyatt at WrestleMania for the WWE Championship. Bray was absent from last week’s show but you have to assume the eater of worlds is out for revenge following the burning of Sister Abigail’s resting place. WWE.com is asking if Wyatt is ready to face Orton, and I feel that question might get answered tonight. A pair who almost might be out for revenge tonight, is John Cena and Nikki Bella. The superstar pair beat James Ellsworth and Carmella last week, then got beat down by Miz and Maryse. This feud has been way better so far than it has any right to be, especially from a promo standpoint. It’s fair to say the Cena clan might be looking to attack the A-listers tonight. All that and more to look forward to on tonight’s show! What are you most excited for? 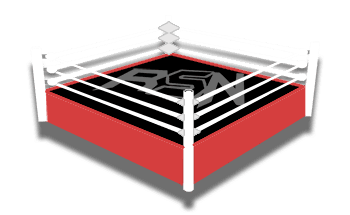 Let us know in the comments, download the Ringside News app, and enjoy the show!